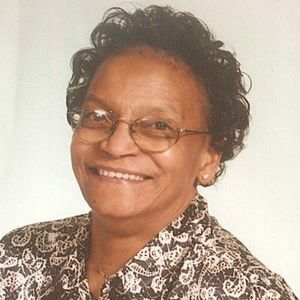 GILPIN, KITTY ANN (KENTON), 77, of Cape May Court House, NJ, passed on March 13, 2019 in Cape May Court House, NJ. She was born on January 6, 1942 in Camden, NJ. She was the third of six children to the late Edgar Jackson Kenton, Jr. and Jessie Elizabeth (Jones) Kenton of Camden, NJ. Kitty, affectionately known as Ann, was educated in the Camden City Public School District. She was active in sports and Girl Scouts up to graduating from Camden High School in 1960. Ann relocated to Cape May County where she worked at Crest Haven Nursing Home and Rehabilitation Center in Cape May Court House as a CNA and in sanitation. She retired in 2002 with 33 years of service. Ann was preceded in death by brothers Edgar III, Thomas and Roger Kenton; sister Jacqueline (Kenton) Trueblood and daughter Marsha Gilpin. Her memory is cherished by her daughter Vienna Spaulding; son Howard Gilpin, Jr.; grandchildren, Fred III (Candice), Howard III (Kristine), Andrew Sr. (Lisa), Joshua and Sabria; great-grandchildren, Nailah, Nasir, Juliano, Hayden, Natalia, Timothy, Andrew Jr., Tobias, Caliana, Joshua and Tyon; brother Odis W. Kenton, Sr. (Emma); sisters-in-law Sheila and Mary Kenton; cousins Scottie Jones and Edna Gibson; and a host of nieces, nephews, extended family, Mount Olive Church family, neighbors, colleagues and friends. Funeral service will be held on Saturday, March 30, 2019 at Mount Olive Baptist Church, 46 East Atlantic Avenue, Cape May Court House, NJ 08210. Viewing 9:30-11:00 am and service 11:00 am. Interment: Mount Olive Baptist Church Cemetery, Cape May Court House, NJ. The beautiful and interactive Eternal Tribute tells Kitty Ann's life story the way it deserves to be told in words, pictures and video. Ann was a wonderful, God loving person. R.I.P.Ann.You will be surely be missed.